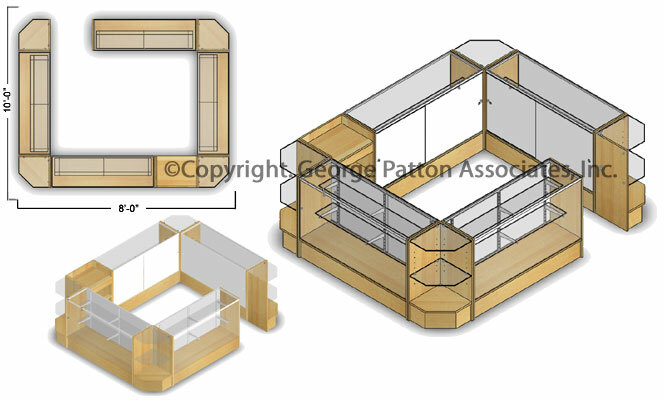 Building a store layout on a budget? 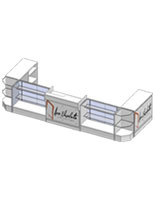 Our cash wrap counter units are the ideal choice because of their affordability. 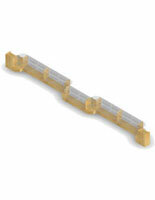 Similar to our Maple Veneer store fixtures, these cash wrap counters are more affordable. There's no need to break your budget when buying cash wraps, so outfit your shop with maple melamine wrap counters! 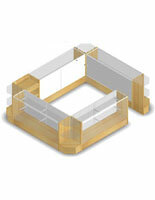 This wrap counter is perfect for any store layout. Whether for a jewelry store, boutique, or a collectibles shop, a display showcase such as this wrap counter will really draw attention to your products. Each of the components in this cash wrap counter consist of maple melamine panels, which give your displays an eye-pleasing look. Consisting of one 24" register stand, four 60" display counters, and four corner display counters, this wrap counter gives you plenty of room to display all of your merchandise. 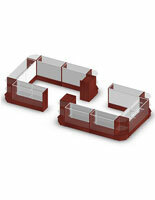 With our wrap counter, also called a store fixture, you'll also be have behind-the-counter storage as well. 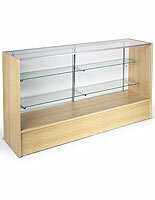 And with adjustable shelving, you can easily accommodate larger or smaller products. 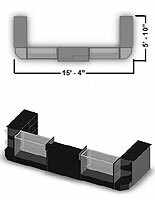 We also sell two similar cash wrap counter models, one with 48" counters, and one with 72" counters, instead of the 60" counter units seen here. 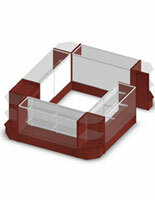 With a retail display fixture such as this wrap counter, you can have your store up and running in no time. 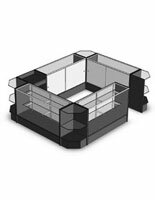 Why wait weeks for your store fixtures, cash wraps, and retail displays when you can have your store ready in just days? No other store fixture supplier can compare! 96.0" x 38.0" x 120.0"